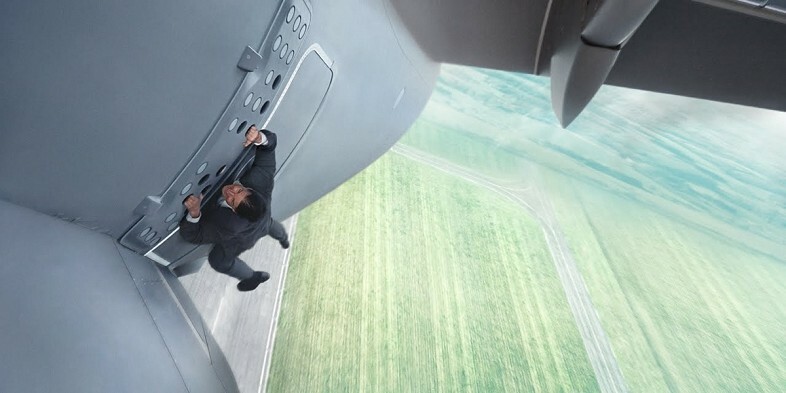 Mission: Impossible Rogue Nation is the fifth instalment in the long running Mission: Impossible franchise and just when you thought they couldn’t get any better Tom Cruise returns to prove that he is still one of the best action stars and that this franchise is still one of best in the action genre. But he couldn’t do it alone, with the aid of an incredibly strong and entertaining supporting cast, very likeable characters and an entertaining plot, this is definitely a must see in the spy thriller genre. 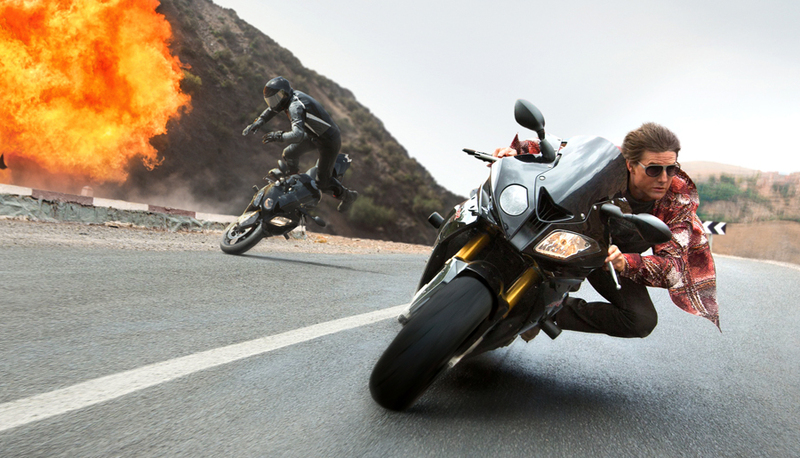 When it comes to high octane action set pieces, no-one does it better than Mission Impossible. The absolutely extreme stunts and high speed chases return in full force and take the franchise to new ‘heights’ and ‘depths’ (literally) and with Ethan Hunt at the helm, the IMF have a new covert operation on their hands. The stunts and action set pieces in this film are awesome to watch you have your fair share of fast paced shootouts and chases and also your more low-key dangerous stunts, all of which were gripping, intense and had you on the edge of your seat. The fact that realism is mostly out of the question when dealing with these stunts really helps to up the stakes and gives the writers and director more creative freedom to wow us in as many ways as possible. The team from Ghost Protocol has returned in this film and i think it was a great thing to keep Simon Pegg, Jeremy Renner, and Ving Rhames together in this film because their chemistry comes through so well in the film and you really get behind these guys. 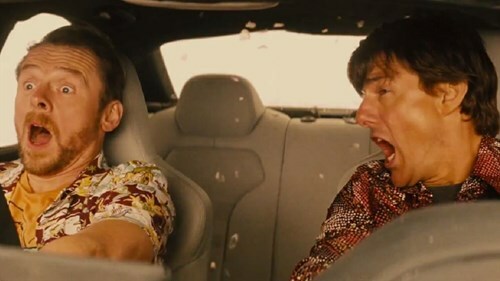 Their characters are always funny when they need to be and badass when required making for some fun, humorous moments that keep the mood very light amidst all of the intense action scenes. The villain of the film i thought was very strong also, ‘they’ weren’t a moustache twirling evil mastermind, they actually had some interesting and mysterious qualities that kept me more engaged in the film. The performances were all incredible and convincing, even from newcomer Rebecca Ferguson as Isla Faust who adds a lot to the film in terms of stunts and especially in terms of plot. Speaking of the plot, i thought it definitely was a very well thought out plot with a lot of pieces and hints throughout that all come together in the finale. It seems to have been very intricately planned out and isn’t just one of your throwaway stop the bad guy plots. There are a few organisations and characters that you have to keep track of in order to completely follow where the story is going. And i have to admit, the strength and focus on having this very well thought out story caught me off guard a few times especially towards the beginning and later on towards the end. I went in half expecting to see some mindless action and fun with some form of easy to follow story that tied the whole film together, but i realised fairly early on that it was going to need some concentration. Once i managed to understand what was going on and who exactly the multiple parties going at each other were it all began to make sense and was pretty interesting and entertaining. I am not saying you can’t go into this film and watch it just for the fun and action but just be warned that during the story centred scenes and the resolution at the end you will be very lost and maybe even bored. P.S, I have to say i am incredibly impressed with the action spy thriller genre this year, we have had ‘Kingsman: The Secret Service’, ‘The Man from U.N.C.L.E’, now this and ‘Spectre’ later in the year, all very different and all very great (Spectre excluded). Next Movie Review: ‘MAN UP’ – Simon Pegg Romantic Comedy – Charming, Quirky and loads of fun!